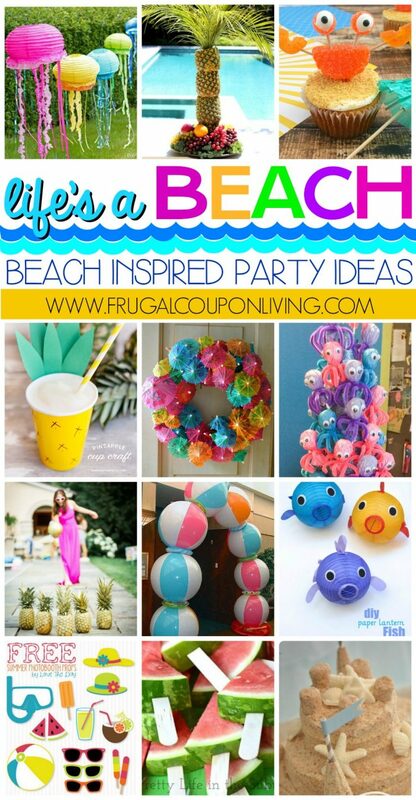 Life’s a Beach, Enjoy the Waves with these Beach Inspired Party Ideas. From crab cupcakes that don’t pinch, a fun little watermelon hack, to how to make a sand cake and more! 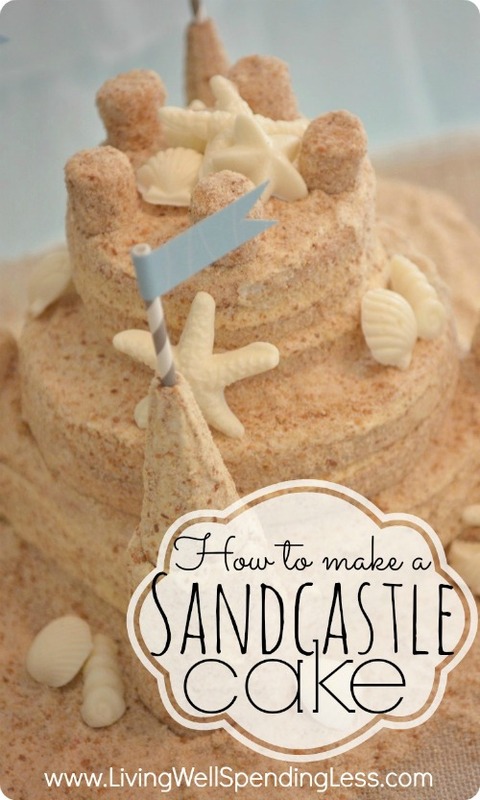 We love these creative beach party ideas for your next under the sea gathering. 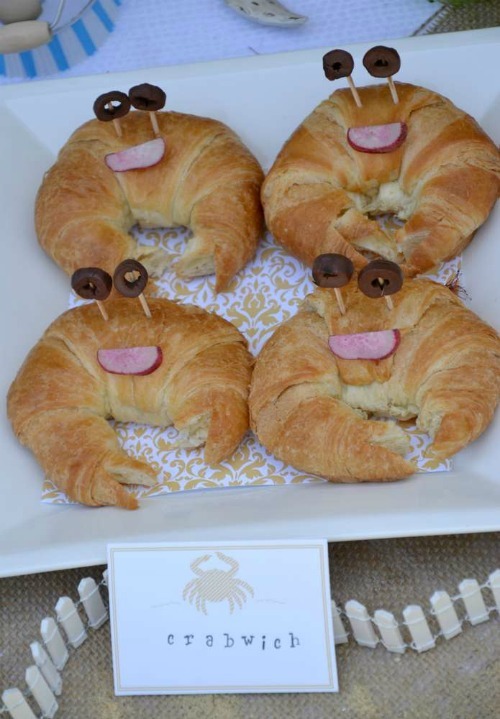 These also are the perfect touch to a luau party! 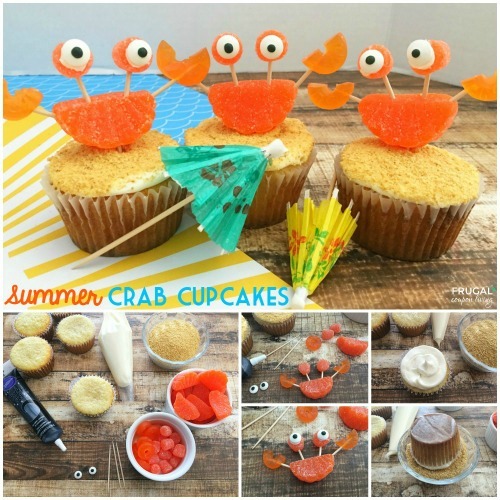 Crab Beach Cupcakes on Frugal Coupon Living. 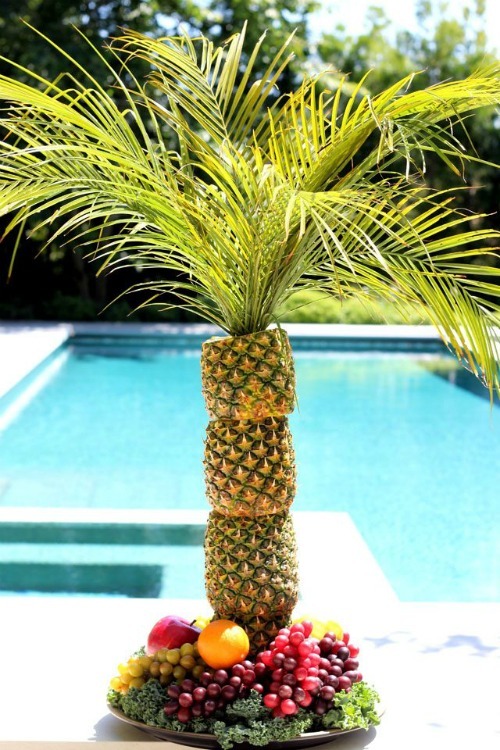 Take a look at this tutorial on how to Build a Pineapple Palm Tree from eHow. 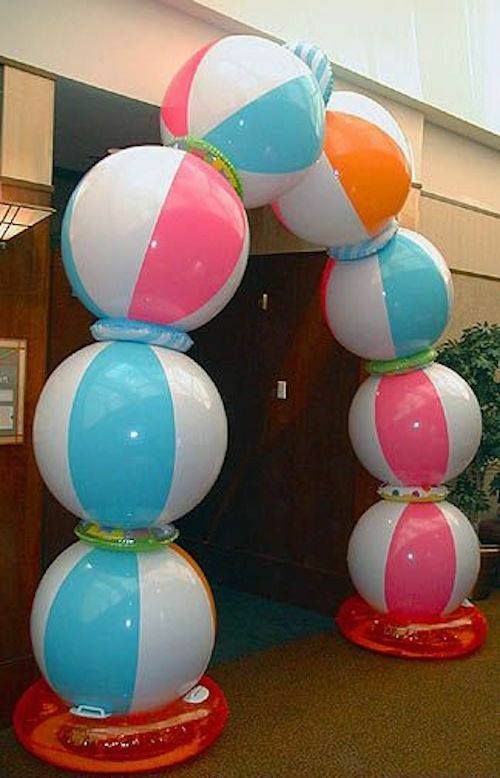 Set up a Beach Ball Arch like this Tutorial on Wiki How. 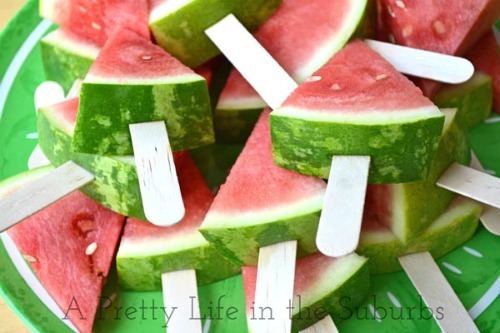 Serve Watermelon on Sticks like A Pretty Life in the Suburbs. 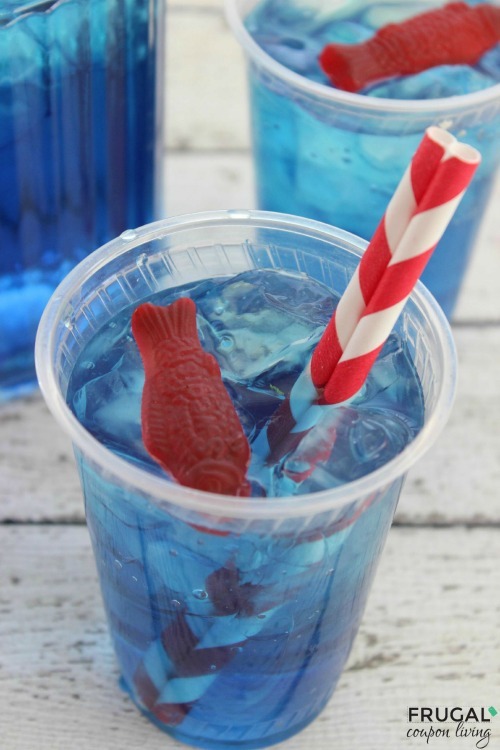 Have fun creating some Ocean Water (just like Sonic) on Frugal Coupon Living. Need a tasty snack? 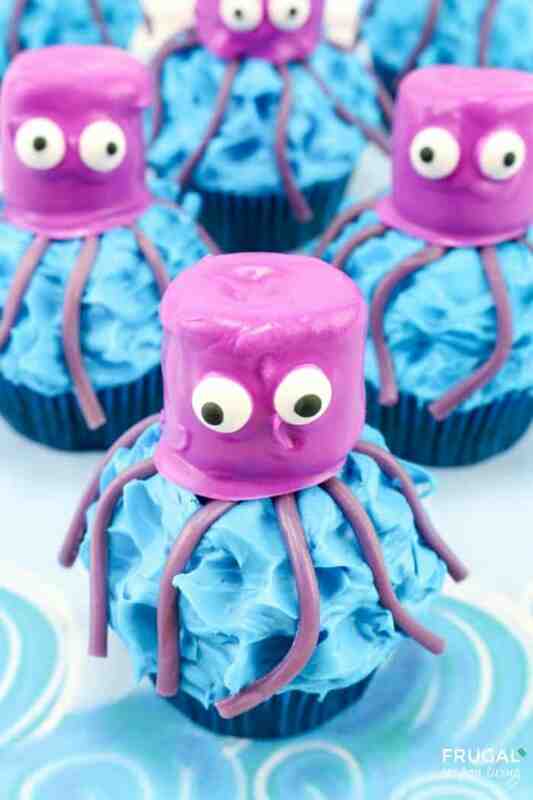 We love our Giant Squid Cupcakes on Frugal Coupon Living. 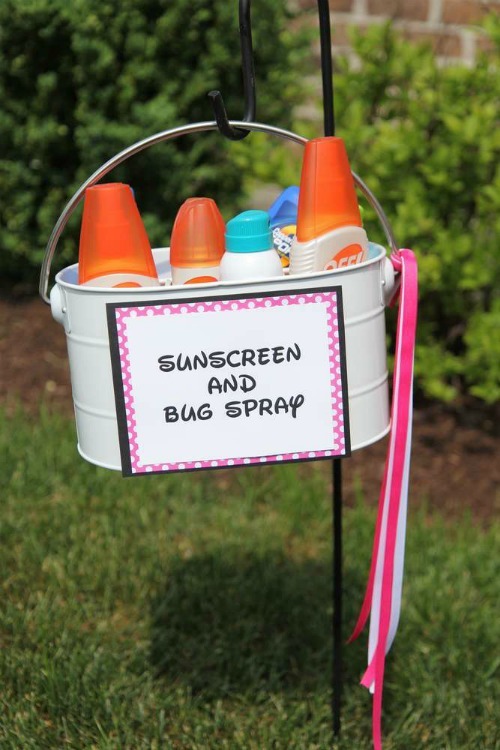 Set up a Sunscreen and Bug Spray Station like Catch My Party. 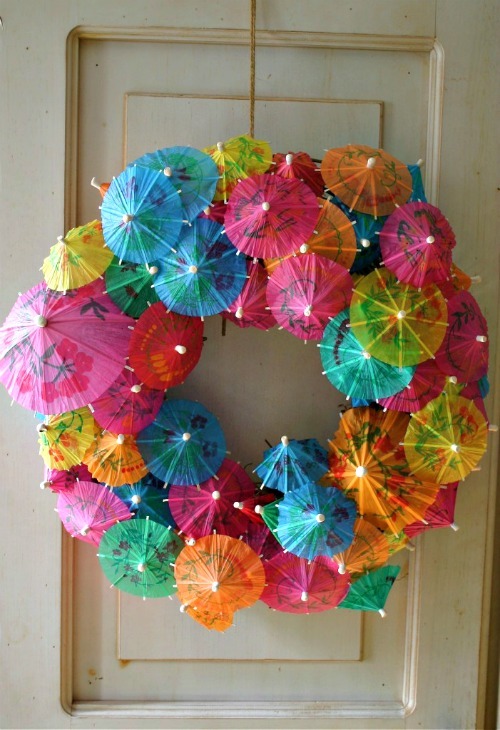 We are so inspired by this Cocktail Umbrella Wreath on Family Chic. 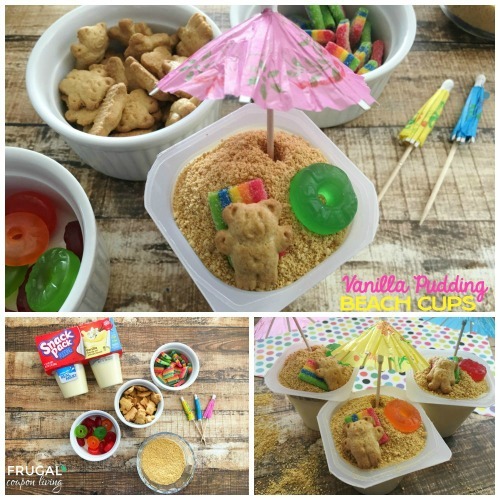 Beach Scene Vanilla Pudding Cups on Frugal Coupon Living. 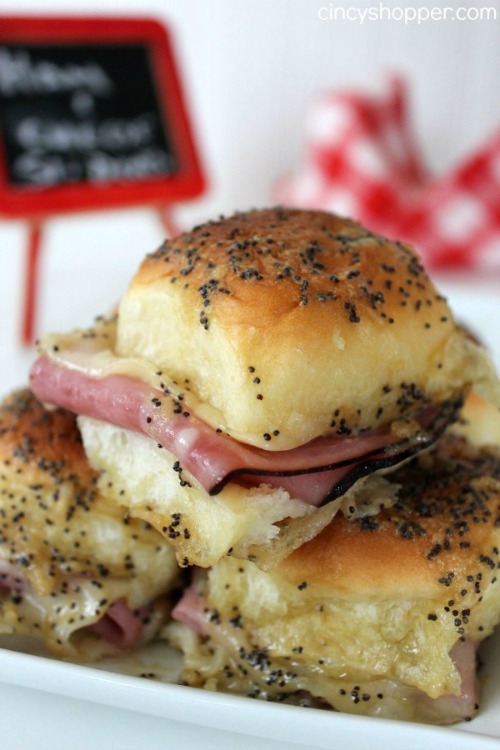 Serving a big party, these Hawaiian Ham & Cheese Sliders fill a crowd. Recipe on Cincy Shopper. 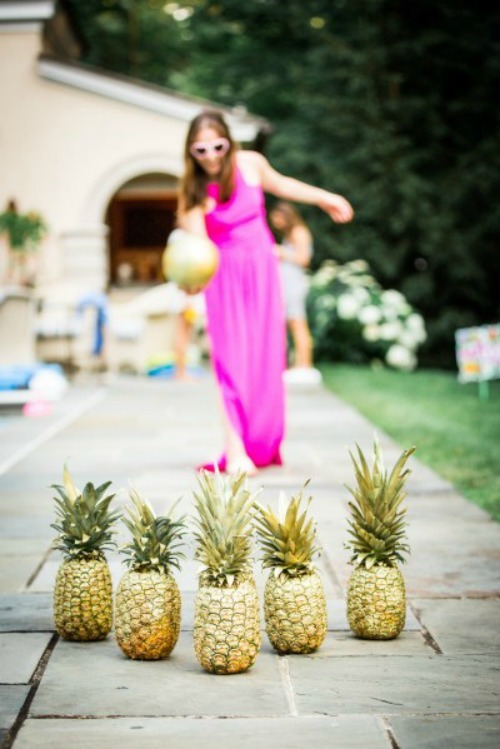 Don’t be bored, try Coconut Bowling with Pineapples like Style Me Pretty. We have also seen it with water bottles filled with blue water. Use a foam cone and Tootsie Roll Pops to make and Octopus Tower. Source unknown. 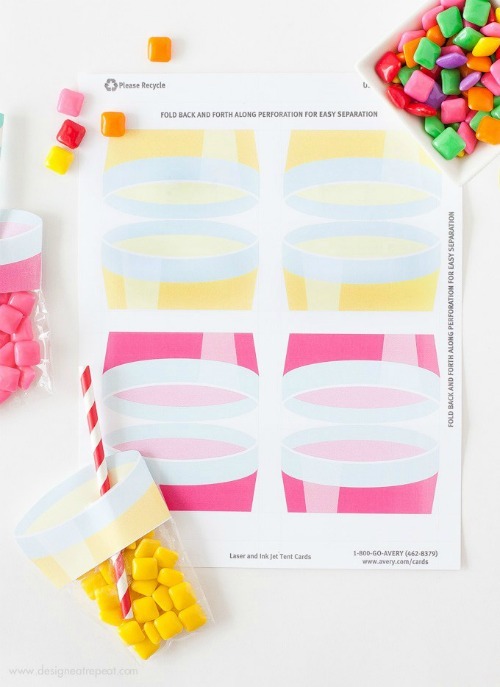 These printable Lemonade Party Favors from Design, Eat, Repeat are adorable for your guests. 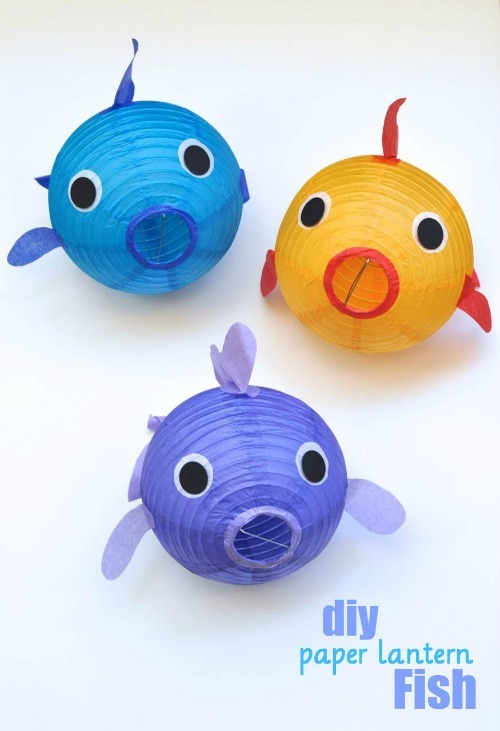 These Paper Lantern Fish make adorable decorations. Idea on Make Life Lovely. Catch my party had an adorable “catch” with these Crab Sandwiches. 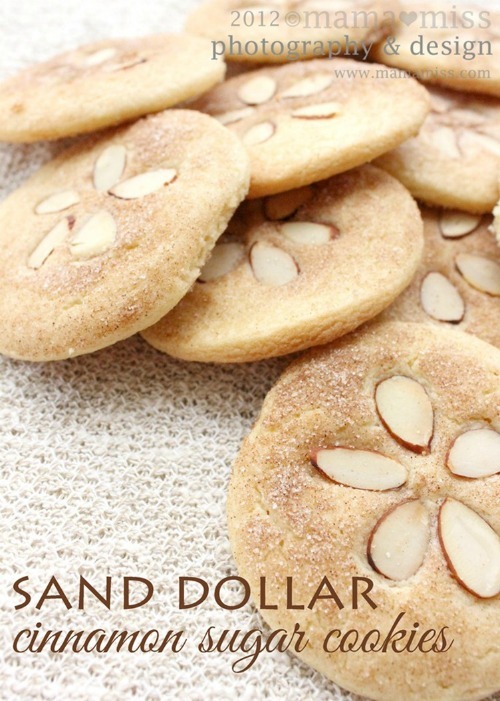 Have fun with these Sand Dollar Cookies and Mama Miss. 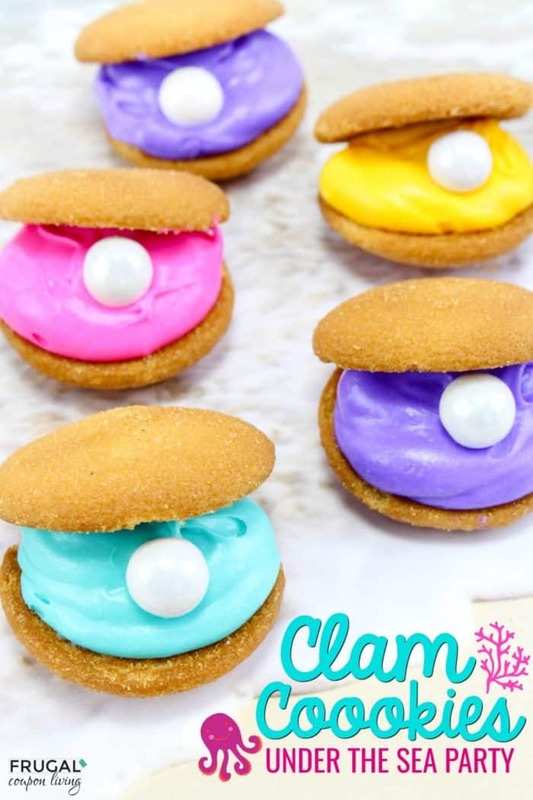 Another tasty cookie are these clam cookies from us at Frugal Coupon Living. 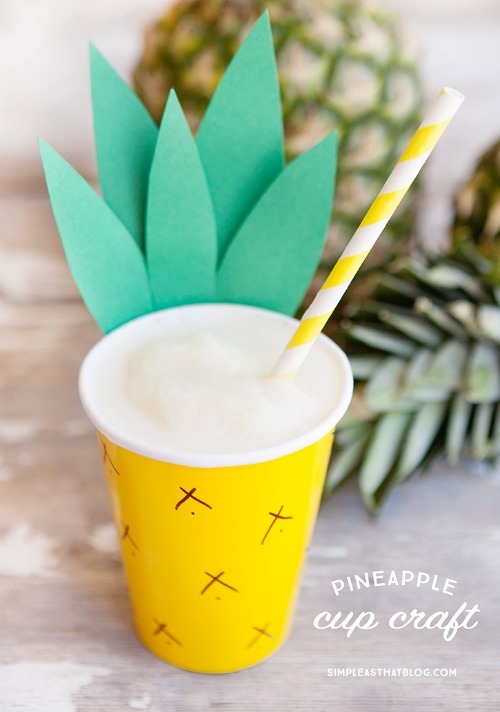 Serve drinks in Pineapple Cups like this idea Simple as that Blog. 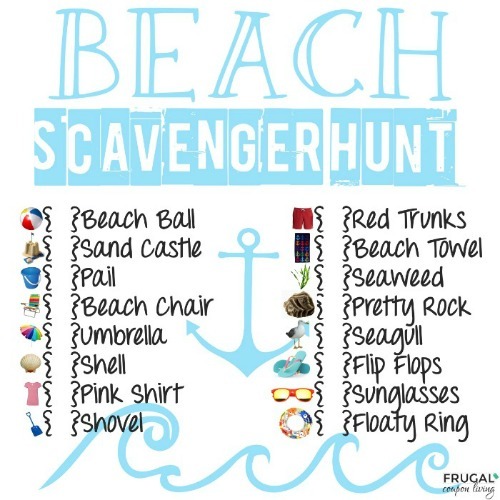 If hosting at the beach, incorporate this Beach Scavenger Hunt on Frugal Coupon Living. 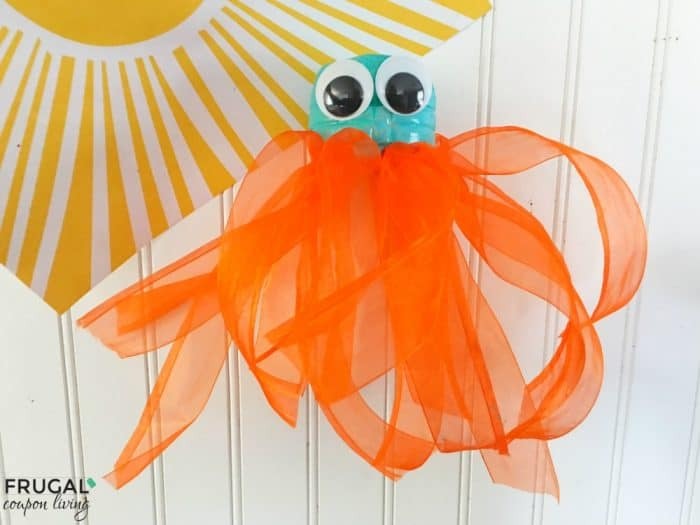 Turn Paper Lanterns into Jelly Fish with this idea from Party City. Also check out our Shark Week Ideas for Kids. Pin to Pinterest. 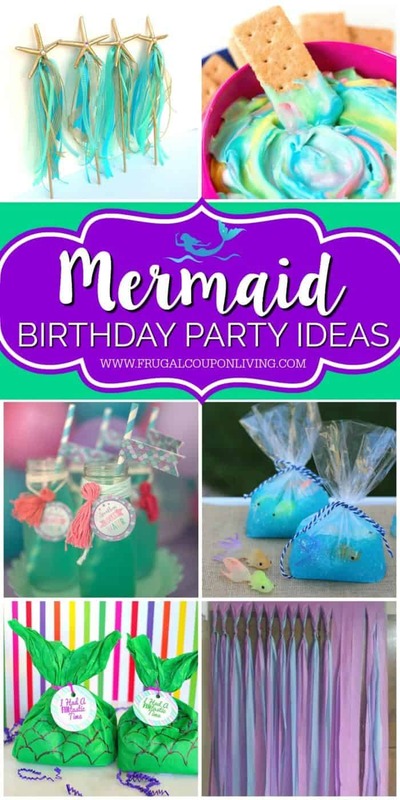 Crab some beach ideas from these Mermaid Party Ideas. Pin to Pinterest. 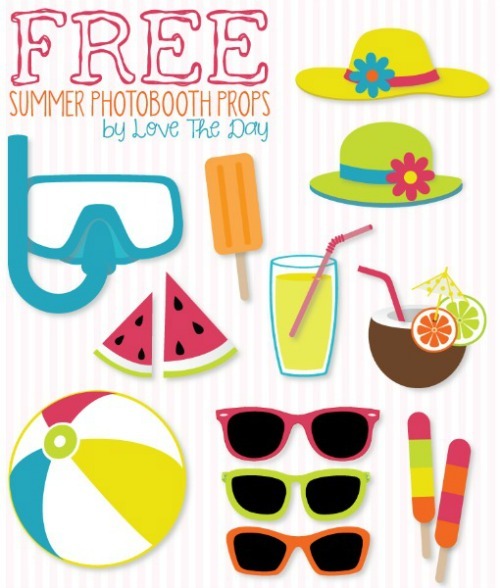 Don’t forget our Beach Tips & Tricks. Pin to Pinterest.